Jacks can provide the replacement Oregon small engine gas tanks that are needed to make your repairs as quick and easy as possible. 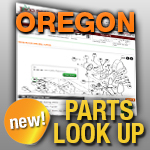 As one of the web's top retailers, Jacks takes pride in providing quality Oregon small engine replacement parts. Match your part or model number below.